But if the auto accident resulted in injuries and/or deaths, notwithstanding fault, you may need an attorney. And if coverage is an issue, your attorney may suggest an insurance expert. If there is a lawsuit, then the insurance company may hire an outside attorney who specializes in a specific type of lawsuit. While they employ attorneys as part of their in-house staff, insurance companies may still hire outside experts, and so should you. There are all types of experts, but many are not qualified. Ask about their experience with your type of insurance. Ask about their total experience - does he/she know anything about your insurer? Be sure to inquire if they have conflicts with your insurance company. You'll want to know if the cost of services is per hour or flat fee. The first call or visit should be at no charge. Ask if needed do they work with an adjuster and or an attorney? Make sure that they are fee based and that they are not going to try to sell you insurance. I will detail a case in which I was the insurance expert to illustrate the value of hiring someone qualified and competent. Super Storm Sandy severely damaged a client's home and possessions. Their flood insurer sent out an adjuster who adjusted the claim on behalf of the insurer. The insured received a check, which was extremely low. The company underpaid the claim. The insured complained about the underpayment to the insurance company for months. They spoke with local, state and federal elected officials to try to get the insurer to reevaluate the claim. More than a year later, the insured received an additional check, which still did not address the considerable damage to or the value of their home and property. After more than two years of fighting with the insurer, losing time from their employment, struggling to rebuild and repair their home, and replace their possessions, they realized that they needed an insurance expert. At their wits' end, they contacted me and retained my services as an insurance expert. They hired an attorney at their own cost as well. Upon reviewing the policy and documentation, I wrote a twenty-page report that outlined the issues and exposed the deficiencies in the insurance company adjuster's report. My report detailed insurance coverage and valuation of the damages to their home and property. The insureds received an additional check for more than $50,000.00, a significant difference. This happy conclusion was more than three years after the initial claim. Had the insureds realized that the size of the claim and damage required them to have an expert on their side, this resolution may have occurred in less than three months from the time of the claim and without the need to hire an attorney. This incident and many others demonstrate why it is important not only to hire an expert but to be sure that the expert is qualified in the area of insurance that your circumstances need. There are many such examples that I can write about. But the bottom line is, should you have an insurance claim, it may benefit you to at least inquire of an insurance expert early in the claim process. Many experts will give you a free interview to hear your case and give you advice. Getting expert insurance advice, consulting with an attorney or an insurance adjuster may be an expense, but it is advice well worth getting. Insurance policies are complex, not always easy to understand and not automatically stacked in the insured's favor. Having a trusted agent/broker is a good beginning but that doesn't make the agent/broker an expert. Being well informed is still your responsibility. It is to that end I offer information. I want to shed light on these issues to help you become an informed insurance buyer and have the coverage required for you and your family. Please remember that getting the advice of an expert or a second opinion may be in your best interests. Do not consider this article insurance advice. You should consult a licensed and reputable insurance broker who is familiar with your particular needs before purchasing insurance. 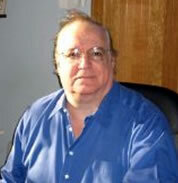 Wayne Citron has 45 years of experience as an expert in Forensic Reconstruction of Insurance Transactions. He is an insurance expert and consultant. Wayne Citron specializes in policy interpretation of the rules, laws, and regulations governing insurance and financial matters. His services are available to attorneys representing plaintiff and defendant and include effective reports, affidavits, depositions, and testimony as needed. Wayne Citron specializes in policy interpretation of the rules, laws, and regulations governing insurance and financial matters.